If you are new to Slices read the basics of slices here. 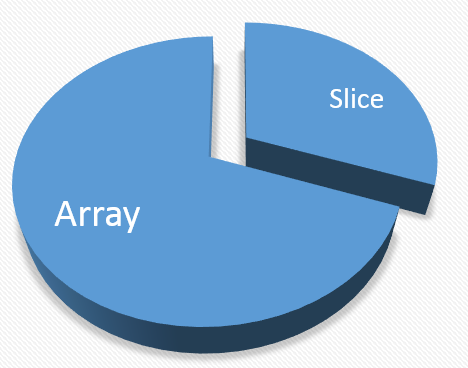 As explained in the last article, unlike the fixed length arrays slices are dynamic in nature. append is a function that facilitate expansion of slices. copy function copies elements from a source to destination & returns the number of elements copied. You can play with the above code. What is the output of below snippet? An array is a group of related data items (collection of similar items) that share a common name. The above variable named studentName represents an array of type string that can hold up to 3 student names. Remember Go Arrays are value types i.e. if you assign one array to another you get a copy of the array because value type variables are created on the stack. The output of the above code is shown in the below image. /* Average marks using range keyword. String is assigned with "" i.e. empty space. Arrays are a bit rigid as they are fixed length and can't grow dynamically in size. So, although there usage during practical programming is very limited the concept of Arrays must be understood to form a good foundation of what we're going to learn next i.e. Slices. Like many other popular languages, SWITCH Statement in Go is used when you have to select & execute one of many alternatives code blocks. This sounds similar to the use of long If...Else chains. Yes, but SWITCH Case comes in as a handy construct when the number of alternatives increases (say when you've got 4 or more alternatives). In short SWITCH is better for code readability and in some cases may be a better choice (than If...Else) for performance gains. This article contains 3 SWITCH code snippets on this page and another example linked here from a different page on this blog. For programming beginners: Switch statement tests the value of a given expression (or variable) against a list of case vlues & when a match is found the statement block associated with that case is executed. 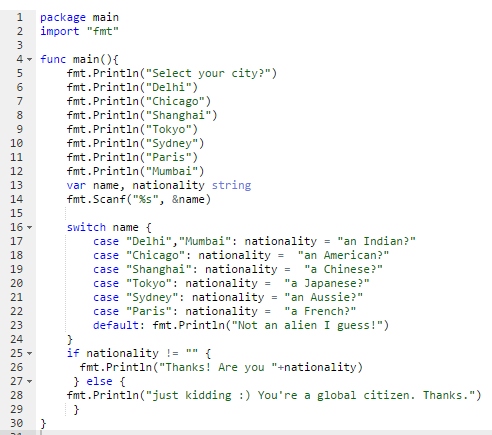 Below is a sample code that finds out the country as output based on the user's selection from predefined list of cities. See the following code. 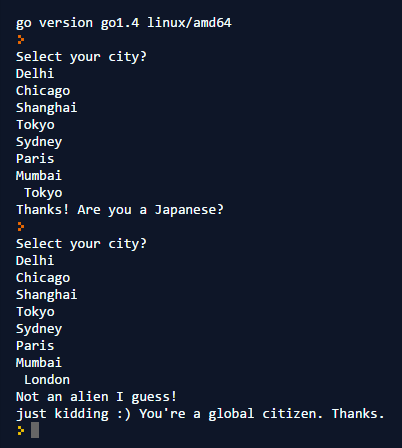 You can play around with the above code sample here. 2. 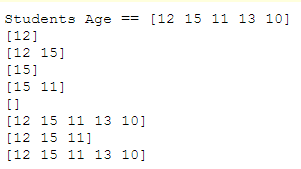 A case statement can have multiple match expressions. 3. Switch cases evaluate cases from top to bottom, stopping when a case succeeds. Note : See line# 15 of below code for fallthrough keyword. 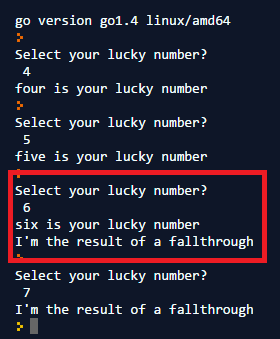 When you select anything between 0 to 5 (both inclusive) the code behaves as expected i.e. 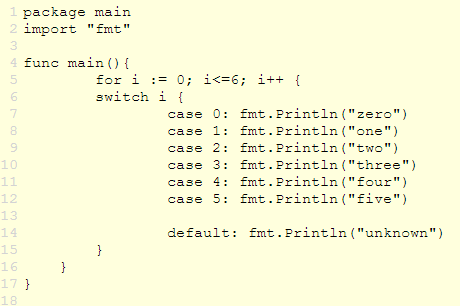 as the condition specified matches it prints the specific code block only and exits from the code block (i.e. SWITCH statement block). So, where's the catch? 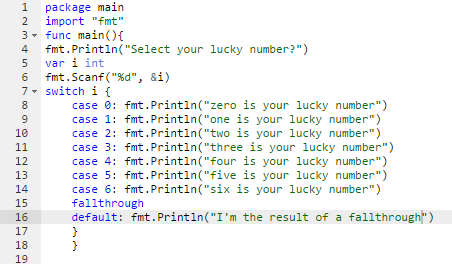 If you enter the digit 6 (as your lucky number) the code will not exit simply after printing six is your lucky number. It will go to the next statement also and execute it and that's what is shown in above image, marked within a red rectangle. OK...then tell me what happens if you insert a fallthrough just after case 2 i.e. at line# 11 in the above image (Captioned: fallthrough example)? So, it simply means fallthrough will affect the next case only and NOT the entire block. Feel free to play with the code here.